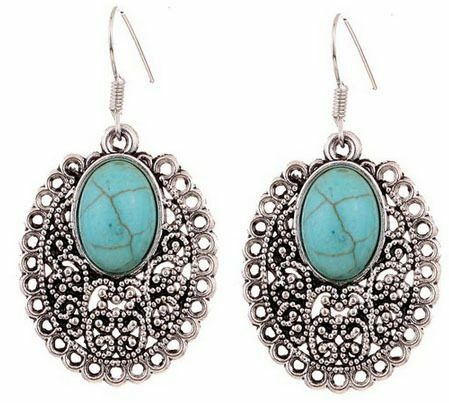 Turquoise and Silver Dangle Earrings Only $3.62 SHIPPED! You are here: Home / Great Deals / Amazon Deals / Turquoise and Silver Dangle Earrings Only $3.62 SHIPPED! Want a new pair of earrings or looking for an inexpensive gift for someone? I’ve got you covered! These really pretty Turquoise and Silver Dangle Earrings are just $3.62 (reg. $14.48)! And, shipping is FREE! These are really pretty, and you can’t beat the price!